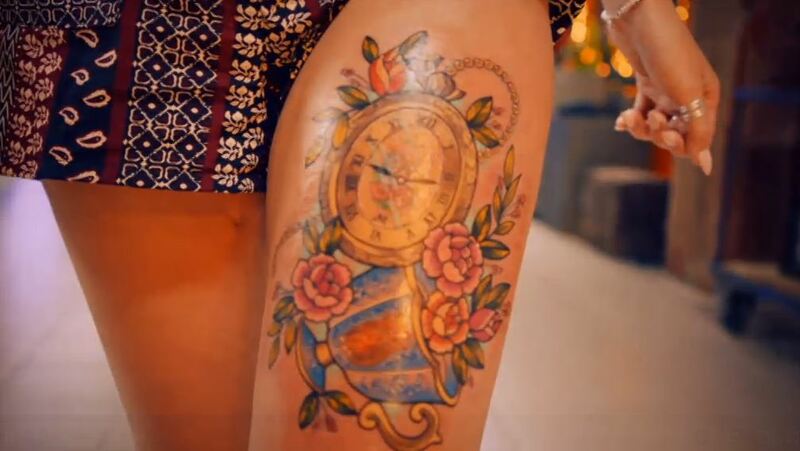 Meet Kat – she came into the Tattoo Fixers On Holiday parlour for a new tattoo. Now Kat, who was on what she calls a ‘YOGDO’ (‘You Only Get Divorced Once’) holiday, only wanted a new thigh tattoo, not a cover up – and she definitely didn’t expect that she would be needing one afterwards. 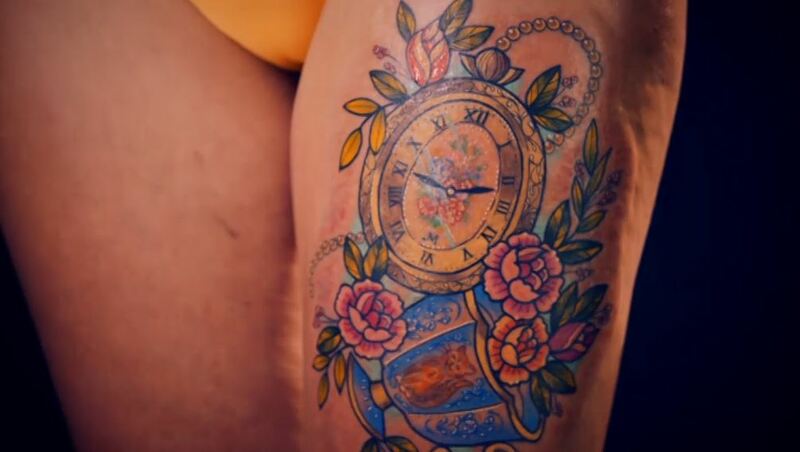 After she entered the parlour and explained her story, tattoo fixer Alice came up with an intricate design featuring a teacup with a cat on it, a pocket watch and some flowers. Eagle-eyed viewers were quick to point out the clock face – and the number nine in particular. And to make things even worse, the minute hand is pointing directly at Alice’s error. Kat obviously hadn’t noticed because she hugged Alice, and told her the tat was ‘better than I ever imagined’.